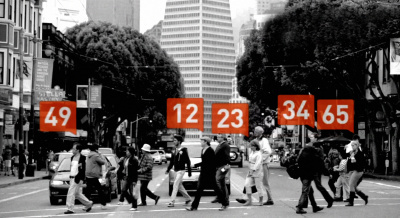 Why focus on raising your Klout score? Klout is a site that tracks your social impact online. By increasing your Klout score, you are doing things necessary to improve your effectiveness with social media. This will get you ranking higher in Google, and Bing. Google has an “author rank” system, where they try to discover someone’s expertise on a subject based on factors such as the articles they write, and their interactions on social media. Bing is a little more direct in letting you know what their equivalent to author rank is, because they have partnered with Klout. Social signals are extremely important to ranking highly in Bing. 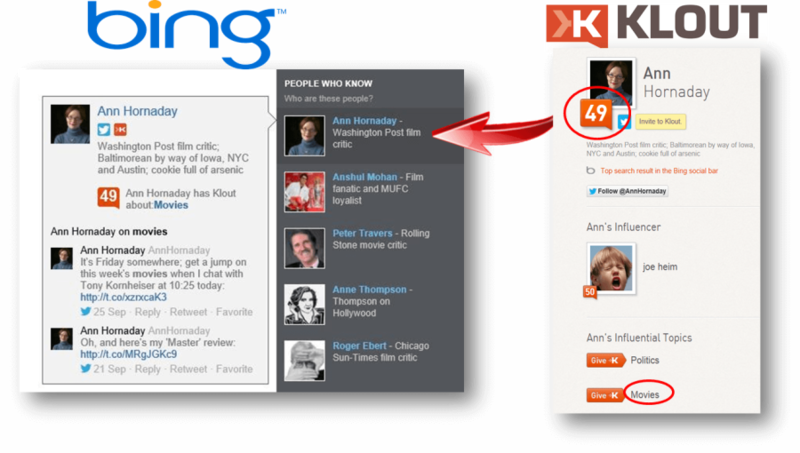 Bing and Klout have made agreements, where high Klout scores bring articles of that author to the top of the Bing SERPs. By improving Klout scores, you’re indirectly doing what you need to do to rank well in Google, and directly doing what you need to rank well in Bing. Now that you know why you want to improve Klout scores, the question becomes how do you do it? 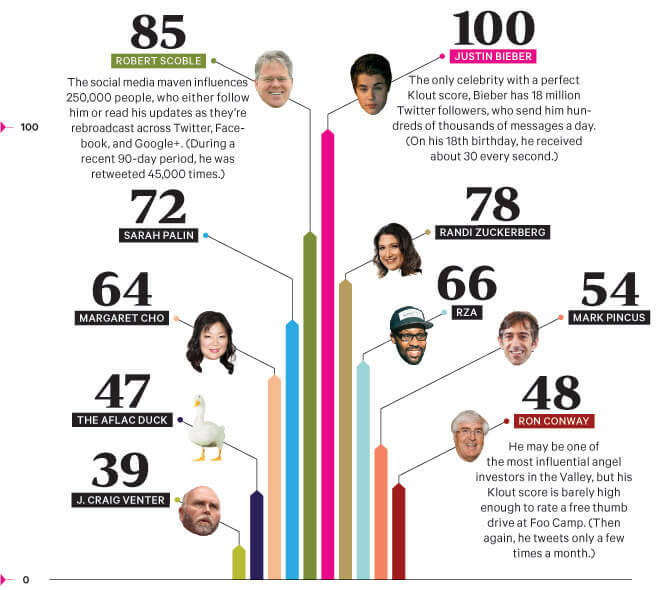 Everyone who has a social media presence already has a Klout score. Klout creates these for authors, whether you have signed up for their service or not. Of course, Klout’s system isn’t perfect — they don’t automatically know that your Facebook account and Twitter account are exactly the same person unless they link to each other or some other obvious method. By creating an account on Klout, you can consolidate your social media profiles, thus increasing your Klout score. You can sign up for Klout here. Facebook: Today, Facebook has over 1.49 billion monthly active users, making it the number one network. Twitter: As of the 2nd quarter of 2015, Twitter averages 304 million monthly users. Google+: This one is a little trickier to find active numbers on, as Google doesn’t release that figure. Google automatically gives a Google+ account to anyone who has email. What we know is that 90% of Google+ users have never made a single post on Google+. Google has around 2.5 billion Google+ users, which would put the active number of Google+ accounts (ever) in the 250 million range. Linkedin: LinkedIn has around 300 million accounts. It receives approximately 97 million visits per quarter. 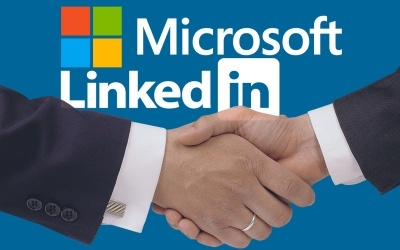 Yammer: Yammer is like a social platform for businesses. It was bought by Microsoft in 2012 for 1.2 billion dollars. I’m not exactly sure all the details on this one, but as I start trying to raise my Klout score I will be checking this out. 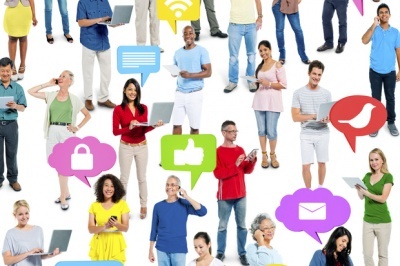 In June of 2013, Yammer claimed to have 8 million users. 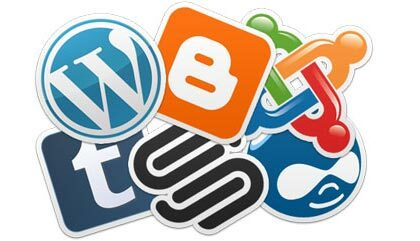 Creating blogs is great for SEO purposes anyways, yet it also will boost your Klout score (for even more SEO boost) if you blog on the following three platforms. Three are free, while Foursquare is a paid subscription. Blogger: This platform is owned by Google. You can get a Blogger account simply by having a Google account. There are currently 230 million pages indexed on Blogger. WordPress.com: Wordpress has 165 million pages indexed in Google. Tumblr: Tumblr has 87 million pages indexed in Google. 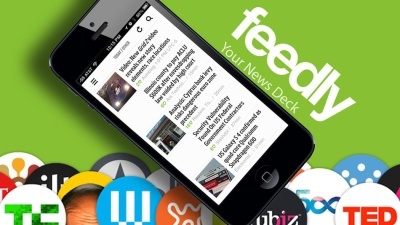 These sites focus on video and images, with a social aspect that allows people to communicate with others. YouTube:YouTube has over a billion users. Instagram: Instagram is an image sharing site. Globally, Instagram has over 300 million active monthly users. Flickr: Flikr is also an image sharing service. There’s around 50 million active Flikr users. Foursquare is like a reviews website, and Last.fm is about music sharing. 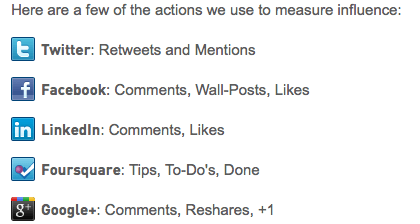 I’m wondering how these could be applicable for Klout, and honestly I’m not sure. I guess if I want to be influential to people, I have to say what music I like or give a review of a restaurant? I’m not sure how these work to influence Klout, but I’ll be checking them out. Foursquare: Foursquare has nearly 40 million pages indexed in Google. In 2013, they claimed to have 45 million users. Last.fm: In December of 2014, Last.fm had around 40 million users. 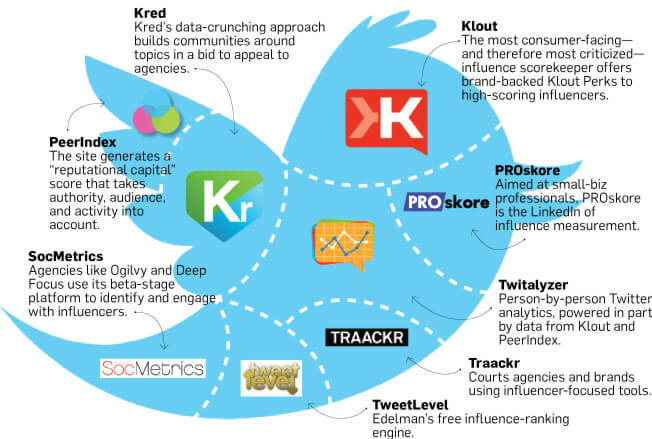 There’s more to bumping up your Klout score than simply signing up for these services. There are over 400 signals they track. For instance, with Twitter — there are things such as how often you post, how many you follow, how many follow you, whether you reply to those who comment on your feed, the consistency of your postings, how important are your friends (quality) and how many do you have (quantity). By spreading these individual types of statistics over the 13 different accounts mentioned above, there are 400 factors they take into account. On top of all of that, Klout itself is a social platform, and they measure how you interact with others there. Keep in mind that Klout isn’t “averaging out” all your social activities. You should add any social account, without fearing that it’ll drop your score because it isn’t as active as your other accounts. Klout doesn’t take the average, they add it all together. By participating on all platforms, you increase your overall Klout score. One can only imagine that the most important social sites, such as Facebook and Twitter, count far more than other less used sites — such as Yammer. In addition, there are many, many other platforms that could have been included — but weren’t. I read that they wanted to add Pinterest, but they haven’t the ability to do so because they didn’t have access to an API for it. Contrast this with Google’s Author Rank. Google’s Author Rank is likely leaps and bounds beyond Klout, because they have access to everything with their scrapers. They’re able to factor in far more variables into your author rank score. However, the social media accounts listed above are a great place to start in building not only your visible Klout score, but your invisible author rank score.